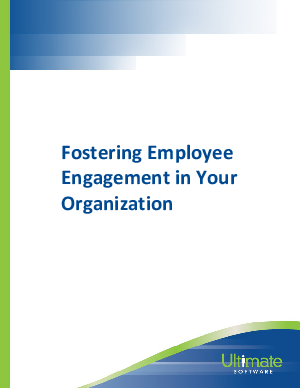 There are few things more critical in creating an effective, innovative workplace than fostering employee engagement. An engaged employee views his or her position as more than just a means to earn money--they feel a sense of duty to make your organization greater than the sum of its parts. Their actions will motivate their colleagues, like a committed athlete inspiring the other members of the team, or a musician in an orchestra setting the tone for a symphony. Employee engagement elevates the atmosphere of your workplace to one in which every contributor is focused on the long-term success of the enterprise as a whole. While it may seem obvious that engagement should be a crucial aspect of any business environment, the reality is that fewer than 1 in 3 employees are actively engaged. Taking steps to combat this lack of engagement will lead to real, tangible improvements in every facet of your organization.